Mext is a free text editor that lets you create webpages and help files for your projects. It’s a handy and lightweight software that provides quick insert elements, which represents some textual descriptions and lets you quickly develop web pages and project pages with full ease. Some of these elements include document page, part page, text styles, comments, logic frames, decision blocks, languages, file connections, and conditions. 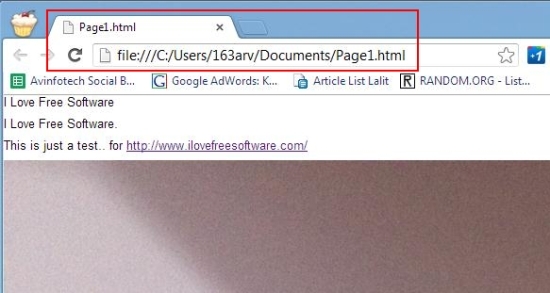 Mext can create HTML page, CHM page, resource files containing HTML pages, and plain text files. We have recently covered one more application from the same set of developers: FreeText; a notes-taking app to jot down important notes, to-dos, etc. Mext is kind-of a development environment that lets you easily develop webpages, process them, and test them in your default browser. Let’s first see how to download and install Mext, then we will look up in detail how you can use this free text editor to create help files for programs and webpages. Mext can be downloaded easily using the link given at the end, which will direct you to the website page where you will find the downloadable file for the software. The size of the file is just 1.33 MB, which is very light in weight. It will download as a setup file. Just double-click on that to run the installation wizard. Then follow some easy steps guided by the wizard, accept terms and conditions, and install this free text editor in your system. Now let’s see how Mext works. Mext is an easy-to-use text editor, with a simple user interface. 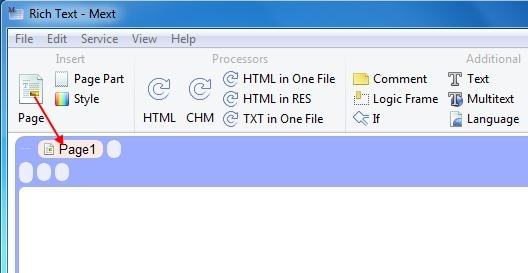 The program window is divided into two sections: a top panel containing quick-access tools, and a working area. You can use Mext in four easy steps. First, add a page on which you will create the desired content. Second, create your content by writing text and using the provided tools like tables, images, hyperlinks, etc. 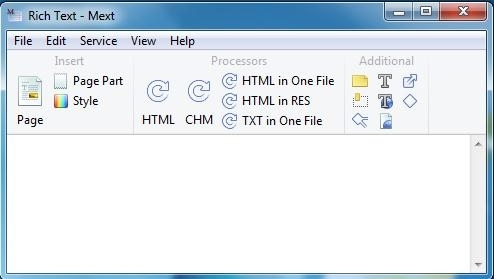 Three, insert a processor (HTML, CSS, and TXT). Four, run the processor and test the program on your browser window (double-click on the link of created file to test page in browser). That’s It! You can create help files, webpages, and technical documentation using this free text editor. Before you download the app, have a quick look on all its key features. 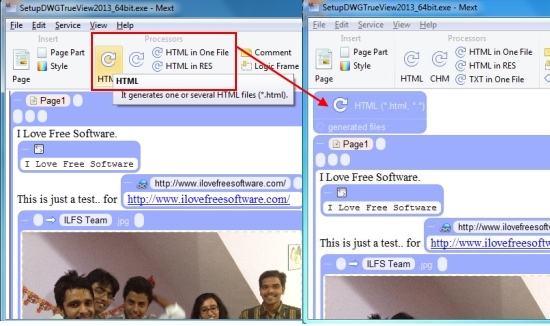 Free text editor for Windows. Easily create webpages, help files for projects, and draw technical documentation. Lets you create HTML pages and CSS help files. Lets you create context-sensitive CHM help files. 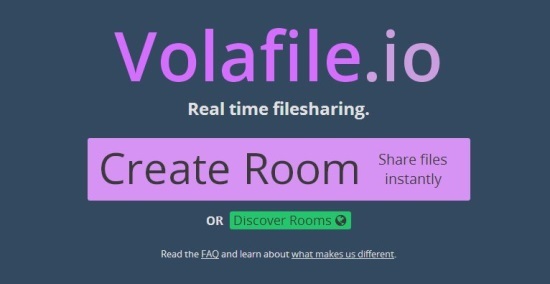 Lets you create HTML resource files. Lets you create plain text files. Normal editing options like Cut/Copy/Paste and Undo/Redo. Quick insert tools like tables, images, hyperlinks, comments, frames, etc. 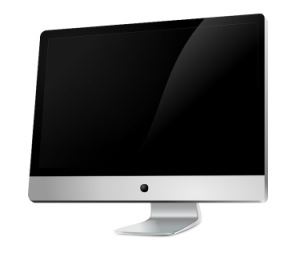 Edit images in any image editing software installed on your system. Explanatory balloon tips for each tool or command that pops up on mouse hover. Test files in default browser. Simple and systematic user interface. Shows log of file creation. Mext is a nice free text editor software (not WYSIWYG) that lets you write plain text files and provides easy to use tools to create HTML pages and help files for programs written in HTML and CHM. It’s quite a nice app to try, however there are certain things which I found incontinent. Like it would have been better if the developer had provided more help on explaining the features and functionality of the app. Since at some point of time during my testing, I got some errors, which I was not able to rectify properly. In short I can say, this is not an app for novice users, but for technically sound people. Download the app, give it a try, and explore its features on your own.